Free drinks provided by Morehead Foundry. 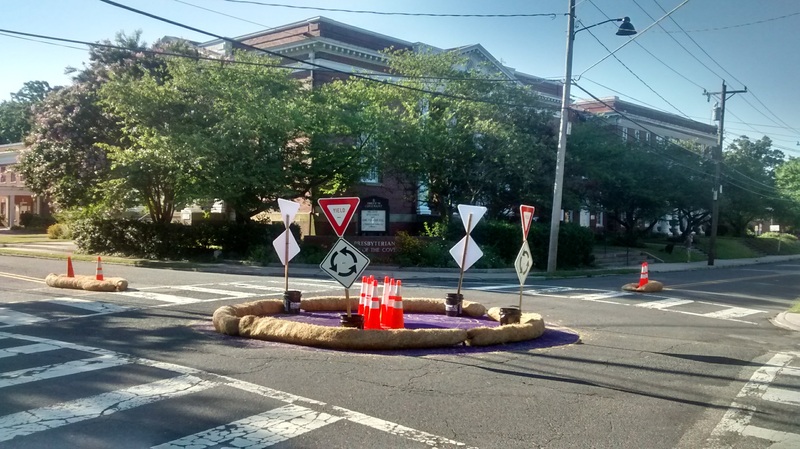 Neighborhood volunteers and city staff began work last Friday on traffic-slowing installations that will be tested on Mendenhall Street. The changes will be evaluated for their effectiveness and community response before permanent changes are made. A second phase in the fall will target Spring Garden Street. The project is being funded by the College Hill Municipal Service District. 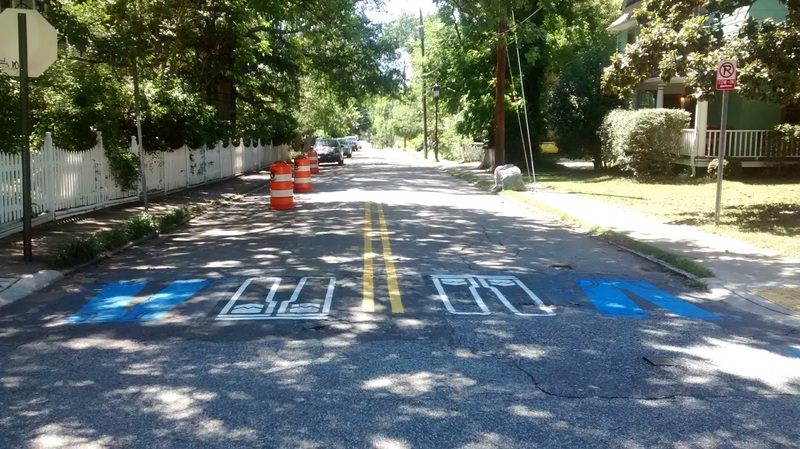 Carr Street gets a center line and decorative crosswalk at Mendenhall Street. 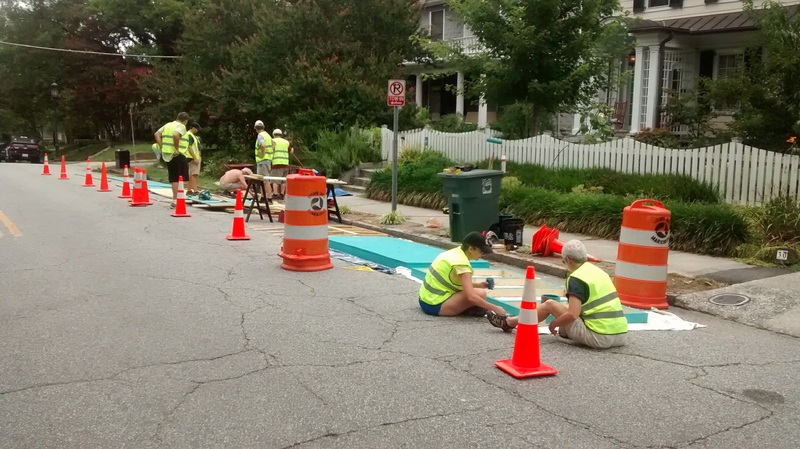 Volunteers work on the parklet on Mendenhall at Carr Street. 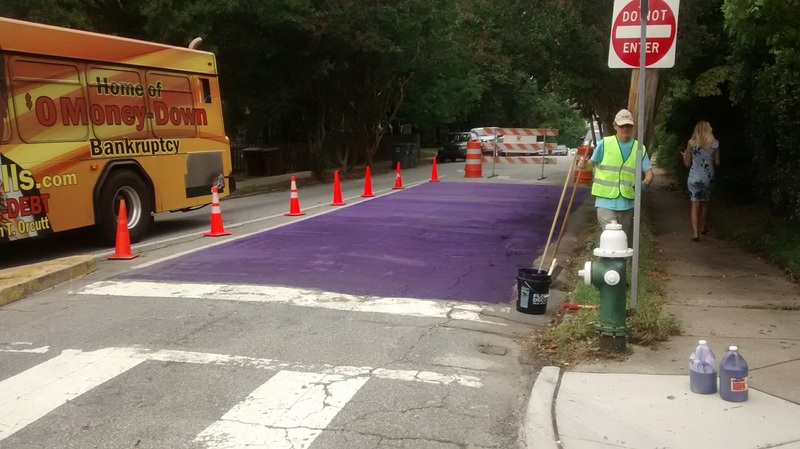 One lane of Walker coming up from Tate street has been blocked (and painted purple) to get cars away from the bushes that block the view of traffic approaching on Mendenhall from the north and to better manage Eastbound Walker traffic entering the intersection. This entry was posted in Carr Street, City Government, College Hill Neighborhood Association, Mendenhall Street, Municipal Service District, Rankin Place, Spring Garden Street, Traffic. Bookmark the permalink.